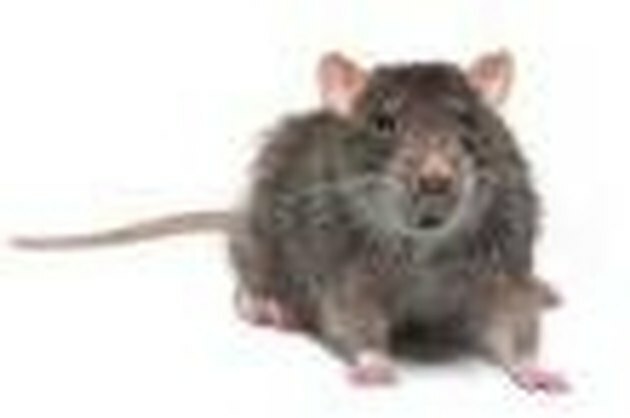 Whether it's roof rats or Norwegian rats, these rodents are something you do not want to have around your home and property. They live in cities and on farms, will eat almost everything and can be the carriers of diseases. They also damage ornamental and edible garden plants and can get into your car engine, where they like to chew up wires. They are true survivors and can be difficult to eliminate, but with some natural controls such as mint, you can help rid your home of these bothersome animals. Rats are primarily active at night. If you suspect that they are present, quietly walk to an area where you might have seen their small, pellet-like droppings---perhaps near a bird feeder or area where you store grain, groceries or other foodstuff. If they are active, you will hear them scurrying about. They might be frightened away by a flashlight, but if you shine it briefly to the area where you hear scurrying, you often can catch a glimpse of them. Prevention is the best cure for rats. Most importantly, do not leave food around, either indoors or outside. This includes compost piles, which are a favorite place for rats to dine after nightfall: keep them covered. Keep all garbage cans securely closed and trees pruned away from your house and other buildings---rats climb up trees and then jump onto buildings. Seal all holes in buildings, screens and under doors. If you install door sweeps, they will prevent rats from entering your home or outbuilding. Don't expect a little mint oil or a few mint plants to completely rid your property of a large rat population. Your city might allow live trapping of rats, so this practice could be an option. Be sure to release any animal you catch far from populated areas. For severe infestations, look for an environmentally friendly exterminator. These companies are on the rise and specialize in pest control without the use of toxic substances.